The Student Health Services On-Campus Medical Center supports student success. College students are at a critical stage in their lives with less parental supervision and more responsibilities. They’re in complete control of their own health. The campus medical clinic in Carkoski Commons lower level is open Monday through Friday from 8 a.m. – 4:30 p.m and offers convenient and affordable medical attention. In addition to their services, the clinic also offers both physicians and nurse practitioners. Currently enrolled full-time or part-time students at Minnesota State Mankato, who are paying student activity fees are eligible to receive the student discount price. Students enrolled in previous terms are eligible to receive services and may be asked to pay for services at the time they are provided. If you’re concerned about your eligibility check online at http://www.mnsu.edu/shs/eligibility.html. As a college student, it’s not easy to find time to visit the medical center. If you plan ahead you will spend less time waiting and more time getting the medical attention you need. “Students being seen for the first time need to fill out a patient registration form. This form can be found on our webpage and can be filled out in advance and brought to the clinic at the time of the visit,” Marti said. If you’re interested in setting up an appointment call 507-389-6276, visit the online patient portal at https://mnsu.medicatconnect.com. Spotlighting Minnesota Holocaust survivors is the focus of a series of free events through the Social Justice Lecture Series. The series is presented by the Minnesota State Mankato’s Department of Sociology and Corrections, the Kessel Peace Institute and the Jewish Community Relations Council of Minnesota and the Dakotas. “These events focus on the Holocaust, both its past and the lessons we can learn from it today to create a more peaceful world,” Carol Glasser, director of the Kessel Peace Institute, said. The exhibit illustrates Holocaust survivors living in Minnesota, in their homes, in full colors. Each story is about survival during unfathomable circumstances. However, the collection focuses on life and hope. 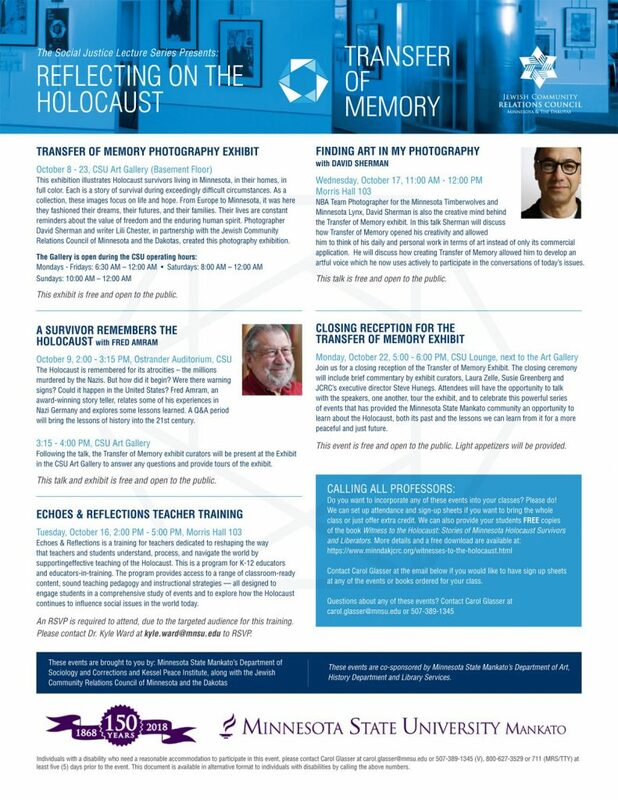 Echoes and Reflections is a training for teachers dedicated to reshaping the way that teachers and students understand, process and navigate the world by supporting effective teaching of the Holocaust. This is a program for K-12 educators and educators-in-training. The program provides access to a range of classroom-ready content, sound teaching pedagogy and instructional strategies — all designed to engage students in a comprehensive study of events and to explore how the Holocaust continues to influence social issues in the world today. An RSVP is required to attend, due to the targeted audience for this training. Please contact Dr. Kyle Ward at kyle.ward@mnsu.eduto RSVP. NBA Team Photographer for the Minnesota Timberwolves and Minnesota Lynx, David Sherman is another creative mind behind the Transfer of Memory exhibit. In this talk Sherman will discuss how Transfer of Memory opened his creativity and allowed him to think of his daily and personal work in terms of art instead of only its commercial application. He also will discuss how creating Transfer of Memory allowed him to develop an artful voice. The closing reception of the Transfer of Memory Exhibit will allow attendees the opportunity to talk with the speakers, one another, tour the exhibit, and to celebrate this powerful series of events. If you are a professor and would like to incorporate any of these events into your classes, you can request attendance and sign-up sheets for class participation or individual extra credit. Students will be provided with FREE copies of the book, Witness to the Holocaust: Stories of Minnesota Holocaust Survivors. If you have any questions about these events contact Carol Glasser at carol.glasser@mnsu.eduor (507)-389-1345. College students need your support, advice and knowledge as they begin to take on adult responsibilities. It is vital that parents adapt to their new role as the resilient force in their student’s educational journey. After the first few weeks of class, students need several things from their parents. However, one of the most important things is support. Regardless of how well your student says college is going, there are always going to be bumps in the road. As a parent, it’s important to know the resources available for your student on-campus. Alert your student on the academic advising and health services available to them. Whether it be the the center for students with disabilities, the writing center, health services, the career center or many of the other services offered on-campus, encourage your student to utilize the numerous valuable campus resources. To locate these resources and more, consult the university’s website and find more information about them at: https://www.mnsu.edu/student/studentresources. There’s nothing quite like seeing how your student is managing the college lifestyle. One way for parents to do this first-hand is by planning a visit. Whether it be for a football game or the traditional Family Weekend (Oct. 12-14). 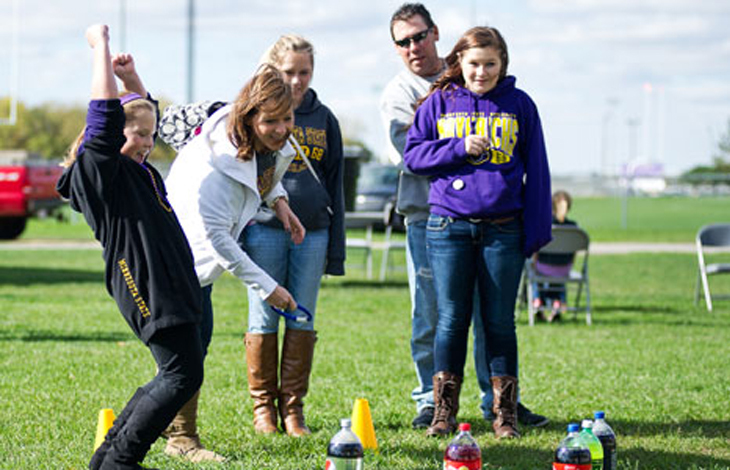 One of the benefits of Family Weekend is the opportunity to participate in many events happening on-campus. For a list of all the events happening over Family Weekend, visit the New Students and Family Programs page on university’s website and select register for Family Weekend. Contacting your student can be done in a number of ways. Whether it be texting, emailing, calling, sending packages or facetiming. Remember that your student won’t always have time to respond to all of your contacts. However, they want to hear from you. Your student misses you and appreciates hearing from you. Be sure to let your student know you’re thinking of them. If you’re interested in staying up-to-date on events, important issues and dates in the university calendar. Visit the New Student and Family Programs page on the university website, scroll down and select subscribe to updates. Clean your room. It sounds pretty self-explanatory, but making sure your room is clean is a key to showing your parents and family that you’re able to handle life on your own. Make your bed, take out the trash, scrub down the sink and bathroom and make sure everything is in order. First impressions are everything. Let your roommate know they’re coming. The last thing you want is your family to come to town and walk into your room to a snoring/sleeping roommate. Make sure you contact your roommate and let him or her know when you’re family is coming. Coordinate with them and you may even be able to solicit their help for cleaning your room. Make a plan. A pleasant surprise for your family is having something planned for when they arrive. MSU sponsors lots of Family Weekend Events, but there are plenty of things to do (and places to eat) in Mankato! Suggest an activity to them when they arrive and you’d be surprised at what they’re willing to do. Show them around campus. Now that you have a better feel for campus, take your family around campus and show them some of your favorite places and where some of your classes are. They’re sure to be interested in what you’ve been up to since they last dropped you off. Thank them! Before they hit the road and head home, be sure to thank your family for coming. It’s a small gesture, but gratitude always goes a long way, especially with your loved ones. And that’s it! The most important part of Family Weekend is to simply enjoy your time with family and have fun! Family Weekend is almost here. Every fall semester, Family Weekend provides a great time to have your family visit and join you for some awesome events. Here is a run down of all the events that will be happening during Family Weekend, October 12-14. 2:00 – 3:00 p.m.: Memorial Library Open House and Tours, Memorial Library – Brief tours highlighting the different library services and resources available on the Minnesota State Mankato campus. 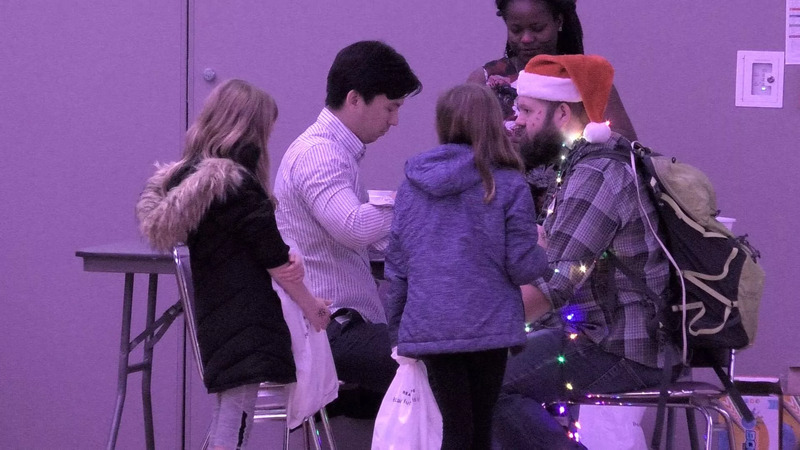 5:00 – 11:30 p.m.: FREE Cosmic Bowling and Billiards, Maverick Bullpen, lower level of the Centennial Student Union – All lanes/tables will be given on a first-come, first-served basis. 5:00 p.m.: Stomper’s Cinema – Incredibles 2, Ostrander Auditorium, Centennial Student Union – Free admission to registered families. Concessions available for purchase. 6:00 – 9:00 p.m.: Open Recreation Time, Otto Recreation Center – Head for a great workout, play some basketball, or do many other activities in our campus recreation center. Just sign in at the desk and enjoy your time at the Rec Center! Free access for our Family Weekend Guests. Open Gym, Walking/Jogging Track, Weight Room, Cardio Area and Racquetball Courts. No minors in Weight Room or Cardio Area. 7:00 p.m.: Stomper’s Cinema – Incredibles 2, Ostrander Auditorium, Centennial Student Union – Free admission to registered families. Concessions available for purchase. 8:00 – 10:00 p.m.: Star Gazing, Andreas Observatory – You can reach the observatory by a short walk south on the gravel road from Green Parking Lot 1. Weather permitting; check the Family Weekend Schedule online for cancellation updates. 8:30 – 9:30 a.m.: Learning Community Meet and Greet, Heritage Room, Centennial Student Union – Meet and greet for Learning Community students and their families. Members of the Learning Community team will be available to answer questions or just say hello! 9:15 a.m.: Family Weekend Kids Stomper Sprint, Fitness Trail Entrance/Outdoor Track, near the MSU softball fields and Green Parking Lot 1 – Calling all kids to join Stomper for a Kids Fun Run on our outdoor track! Event includes 100-meter fun run for kids ages 4 and under and a 400-meter (1 lap) fun run for kids ages 5 and up. No pre-registration. Meet at the entrance to the track (right next to the start of the 5K) by 9:10 a.m. A waiver must be signed by a parent or guardian the morning of the event in order for the child to participate. 9:30 a.m.: Family Weekend 5k Fun Run/Walk, Fitness Trail, near the MSU softball fields and Green Parking Lot 1 – Join us for a FREE non-competitive 5K fun Run/Walk on our paved fitness trail by the softball fields and Green Parking Lot 1. T-shirts are provided to the first 200 participants who check in at the 5k registration table on the day of the event starting at 8:45 a.m. A separate pre-registration is required for this event. Registrations are accepted starting at 8:45 a.m. A waiver must be signed by all participants the morning of the event in order to participate. 10:30 a.m. – 1:00 p.m.: Family Fun Carnival, Myers Field House – Enjoy games, caricatures, photo booth, indoor rock wall climbing, inflatables and other fun things for the entire family, brought to you in part by the Residence Hall Association (RHA). 10:30 a.m.: Alumni Legacy Brunch, Centennial Student Union Ballroom – The Office of Alumni Relations presents a brunch for students who have family members who are MSU alumni. Invitations will be sent via email to Legacy Families. If you are a Legacy Family and have not received an invitation, please contact the Alumni Office at 507-389-1515 or alumni@mnsu.edu. An RSVP is required. 11:00 a.m. – 12:00 p.m.: Pictures with Stomper, Myers Field House – Have a professional photo taken with the Maverick mascot, Stomper. You will have the opportunity to have a photo emailed to you or order online after the event. 11:00 a.m. – 7:00 p.m.: Open Recreation Time, Otto Recreation Center – Free access for our Family Weekend Guests. No minors in Weight Room or Cardio Area. 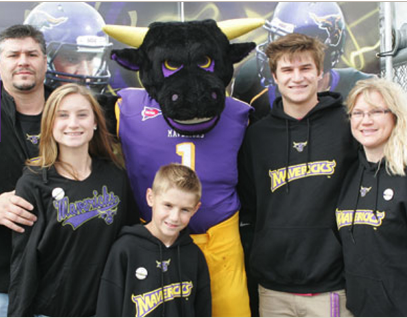 1:00 p.m.: Maverick Football vs. Minot State, Blakeslee Stadium- General admission is $5 for adults (normally $10) and FREE for youth ages 17 and under (normally $5). Current MSU students get in free with MavCARD. 3:00 – 5:00 p.m.: Disc Golf, near Parking Lot 1 – Play a round on MSU’s 9-hole Maverick Disc Golf course! Our very own par 3 disc golf course is open for you to play year-round, dawn till dusk. Meet the Campus Recreation staff at the northwest corner of Lot 1 (right field fence of the Women’s Softball diamond) to grab a scorecard, map and check out a disc to use. Feel free to bring your own disc golf discs, too. 4:00 – 7:00 p.m.: Outdoor Rock Climbing, Outdoor Rock Climbing Wall – Enjoy our outdoor rock climbing wall! The feel and texture of this climbing wall is amazingly realistic, allowing climbers to use natural features and attached handholds to climb unique routes up the wall. Take on the challenge of climbing this 35-foot pinnacle! Come to Green Parking Lot 1 and take a short walk down the gravel road. 8:00 – 10:00 p.m.: Star Gazing, Andreas Observatory- Weather permitting; check the Family Weekend Schedule online for cancellation updates. 8:00, 9:00, and 10:00 p.m.: Mavericks After Dark: The Price is Right, Ostrander Auditorum, Centennial Student Union – Three shows! Please arrive 30 minutes early to the show. Limit 350 people per show – get your free tickets now! mnsuevents.com. Over $2,000 in prizes! Back by popular demand, the Student Events Team will be hosting the “The Price is Right” game show. Students and families will have a chance to win prizes such as groceries from Hy-Vee, kitchen appliances, free bowling at Wow Zone for a Semester, and so much more! 10:00 a.m. – 4:00 p.m.: 2018 Deep Valley Book Festival, Mankato Event Center, 12 Civic Center Plaza (off campus) – The FREE, day-long festival includes authors Lorna Landvik, David Geister, and more than 40 Minnesota authors, illustrators, publishers and literary organizations. The Festival provides the chance for guests to interact with their favorite authors and meet new ones. For more information, visit www.mnheritage.com/bookfestival.html. 11:00 a.m.: Mass with the Catholic Mavs, St. Thomas More Catholic Newman Center, 1502 Warren St. – Begin your day by celebrating with the CatholicMavs. Coffee and donuts to follow Mass. All are welcome! Noon: Watch Minnesota Vikings vs the Arizona Cardinals, Maverick Bullpen, lower level of the Centennial Student Union – Watch the game on one of the many TV’s in the Maverick Bullpen lounges. 1:00 – 6:00 p.m.: Open Recreation Time, Otto Recreation Center – Free access for our Family Weekend guests. Open gym, walking/jogging track, weight room, cardio area and racquetball courts. No minors in weight room or cardio area. 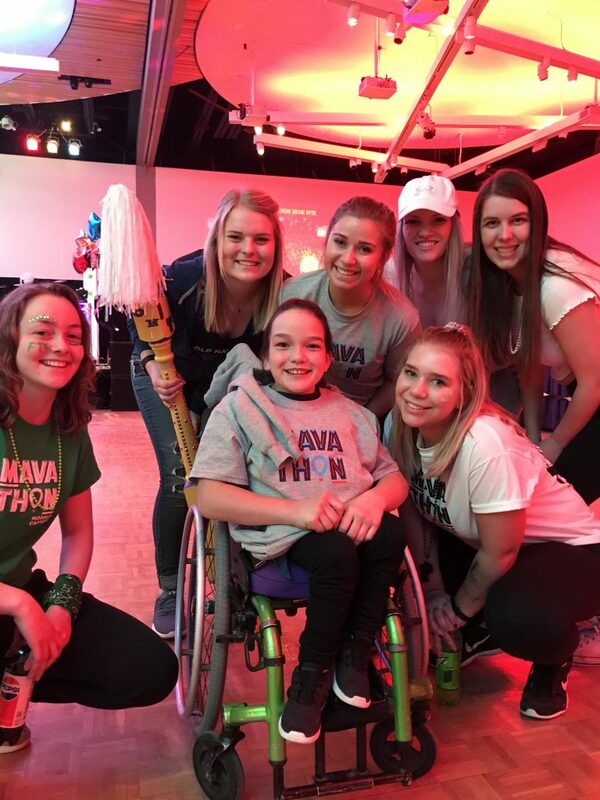 Individuals with a disability who need a reasonable accommodation to participate in this event, please contact New Student and Family Programs at 507-389-5498 (V), 800-627-3529 or 711 (MRS/TTY) at least five days prior to the event. This document is available in alternative format to individuals with disabilities by calling the above numbers. Being a parent of a college student has its challenges. One of them can be the first meeting after students have been attending college for a few months and living away from home. No one knows what to expect when a parent first sees their student after a few weeks or months apart from home. Are they the still dependent on mom and dad? Have they changed so much that they don’t even resemble who they used to be? Will they be embarrassed of being seen with their parents? There is no rule book on what to do or what to expect when you haven’t seen your college son/daughter for a period of time. College introduces students to new experiences and opportunities. A lot of students realize that they have to start looking after themselves and have to start doing chores they never had to do; like laundry. Your first reunion is highly encouraged. But be ready to expect changes in students. It is important to acknowledge growth and improvement. Be encouraging and supportive. Be sensitive but straightforward on criticism. It is important to have fun in your first reunion and not constantly argue on how or what they should do. Try to meet some of your students’ friends and try to learn about their college life. Most college students are eager to see their parents. Also try to ask them what they need. College students are constantly hungry and it is useful to have snacks and food available; make sure they have a good supply. Some parents might also learn that their students have a life that they are no longer a part of. College students often hang out late with their friends. They might not do it during family weekend or whenever your first reunion happens. However, it is better to expect it just in case you were planning on spending an entire evening together. The most important factor to remember is that students will change. Not all students might make their own meals or wash their clothes as frequently as they should. However, students’ first few months and their first year at college will change their behavior and that change is maturity. They have been living their own experiences and making their own decisions where the outcomes range from performing beyond their own expectations to screwing up. They all add up to learning experiences. Parents will now not always be part of the decision making but rather witness it. All the small changes college student go through in their short time in college will be apparent all at once in your first reunion. Just remember, you’re still their parent. Their love has transitioned with their new life as a college student.